Motivational Poster maker, Magazine Cover maker, Pop Art poster, and much more! Play as much as you likeâ€”everything is free. We also sell awesome custom-printed products. View your Flickr photos on a gorgeous plain all-black or all-white background (sort of like a framed mat). A black background helps viewers find detail in black and white photos and other photos with dark areas and makes colors really pop. An uncluttered white background is the perfect clean slate to complement the right photo. 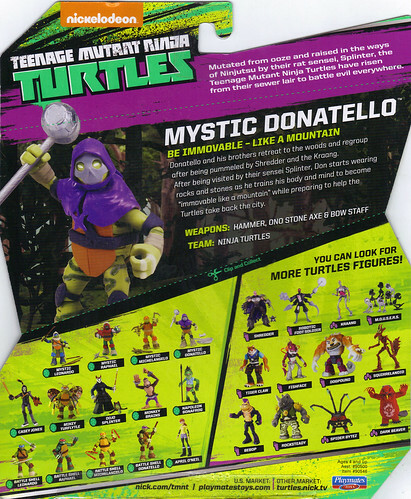 Nickelodeon TEENAGE MUTANT NINJA TURTLES :: MYSTIC DON ..card backer ii (( 2014 )) by tOkKa / © Some rights reserved. Tons of fun stuff... Give one of our toys a spin! I know, right? It's a lot to take in. Go slow. Copyright © 2019 BigHugeLabs.com. All rights reserved. This product uses the APIs and services of other websites but is not endorsed or certified by any of those websites. Flickr is a registered trademark of Yahoo, Inc. Twitter is a registered trademark of Twitter, Inc. Facebook is a registered trademark of Facebook, Inc.
Instagram, the Instagram Logo and the Instagram Camera Logos are trademarks of Instagram.